Home Uncategorized St. Bernadette´s Children’s Centre. We would like to thank the parishioners of St. Bernadette´s Parish, Belfast, for their support over the last 21 years in funding the children´s projects, of the same name, in Lima, Peru. 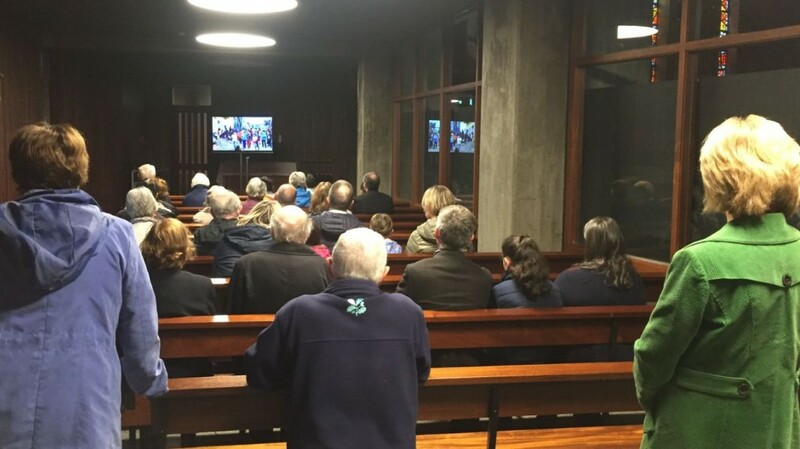 Here they are watching the DVD made this year of St. Bernadette´s Children’s Centre.